When MHA formed in 2010 we were focused on heritage threats in the CBD as defined by the Hoddle grid. We had identified this area as one that contained numerous buildings of significant heritage value with little or not protection, and one that was subject to strong development pressures. While several other groups had worked on campaigns to protect certain sites in the CBD, there was no group dedicated to defending the the CBD against the many threats to it’s heritage buildings. Over the past five years MHA has worked hard to raise the profile of heritage issues and campaigned to give many CBD sites the protection they deserve. In 2012, the Minister for Planning unilaterally declared that the Capital City Zone would be expanded well beyond the CBD and a part of Southbank. Since then, large scale developments have increasingly encroached on these CBD fringe areas, especially the ‘City North’ area, which doesn’t have a dedicated heritage group, and neither does Southbank. With our recent discoveries that there are many places there that are unprotected, and others that have been demolished, MHA has made the decision to expand our boundaries as seen in the map below. 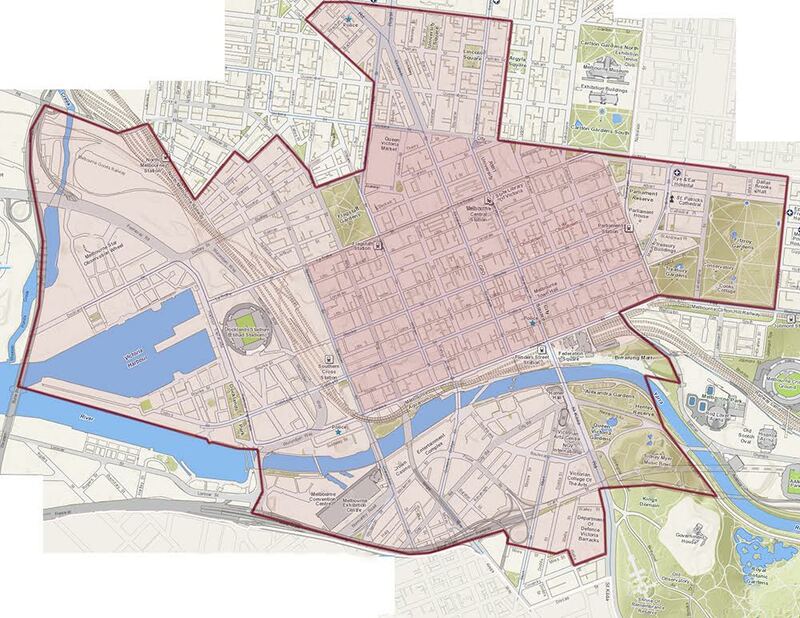 New expanded boundary covers Southbank up to the West Gate Freeway, all of Docklands and West Melbourne to the northern end of the Flagstaff Gardens, the CBD North development corridor to Grattan street, areas around the Haymarket roundabout at Flemington Rd, the Royal Exhibition Building/Carlton Gardens, and East Melbourne around the Parliamentary precinct. We have included Southbank, Docklands, the City North development corridor and the Eastern HIll part of what is officially East Melbourne, all areas with a wealth of important heritage buildings, but with no dedicated groups. Many buildings in these areas area already under direct development threat. 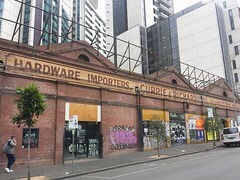 Examples include the recently approved facading of the Victorian shop at 541 Elizabeth Street near the market, and the proposed demolition of a row of Edwardian and 1920s warehouses in City Road Southbank. A few buildings under threat in the CBD fringe. Time for a red alert. 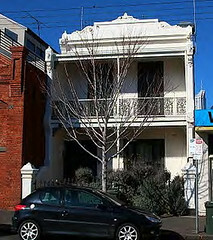 the Bennets lane area is in danger ; the entire section 7 brick warehouses on the market in one sale!